We’ve seen more than our fair share of geoengineering schemes concocted to halt climate change in the past year, including algae-lined buildings, forests of synthetic trees, and ships that spray climate-altering clouds into the sky. The latest proposal comes from Harvard physicist Russel Seitz, who thinks we should pump tiny bubbles, or microbubbles, into the ocean to lower temperatures and increase reflectivity. 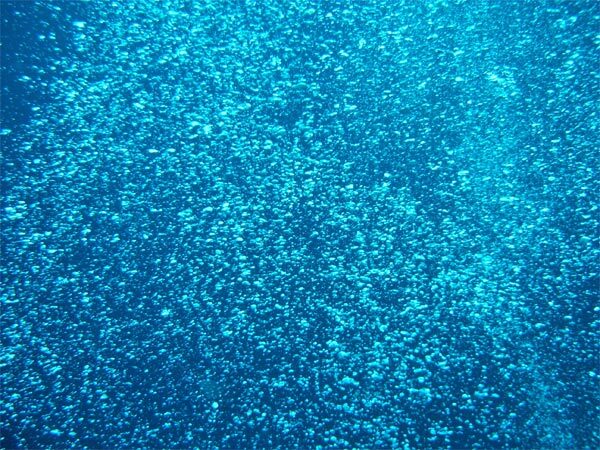 Natural bubbles already brighten turbulent seas and provide a luster known as “undershine” below the ocean’s surface. But these bubbles only lightly brighten the planet, contributing less than one-tenth of 1% of Earth’s reflectivity, or albedo. What Seitz imagines is pumping even smaller bubbles, about one-five-hundredth of a millimeter in diameter, into the sea. Such “microbubbles” are essentially “mirrors made of air,” says Seitz, and they might be created off boats by using devices that mix water supercharged with compressed air into swirling jets of water. Seitz claims that his computer models show that microbubbles could potentially double the reflectivity of water at one part per million by volume, cooling the planet by up to 3 degrees Celsius. The strategy might also cut down on evaporation in lakes and rivers, saving drought-prone states from having to cut down on water use every summer. There are still some drawbacks to the scheme. In order for the microbubbles to be effective, they have to last long enough to spread over large areas of water. As of yet, Seitz hasn’t tested the microbubbles for their long-lasting abilities. Still, any new geoengineering schemes should be welcomed–they might just be our biggest hope in the quest to stop climate change.